Hey, guess what? Work shoes don’t have to be uncomfortable! Now you can enjoy the same lightweight comfort of your favorite weekend athletic shoes while you're on the job site. 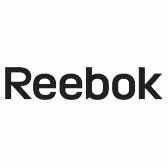 Reebok has always been known for its comfort, so when you need a comfortable pair of m ... (see full details) (see specifications) #RB3604. Hey, guess what? Work shoes don’t have to be uncomfortable! Now you can enjoy the same lightweight comfort of your favorite weekend athletic shoes while you're on the job site. Reebok has always been known for its comfort, so when you need a comfortable pair of men's shoes for work, trust them to deliver. These Reebok DMX Flex Men’s Alloy Toe ESD RB3604 Grey Athletic Oxford Slip-Resistant Shoes are lightweight and cushioned with the added durability and safety you need from your work footwear. With MemoryTech Massage footbeds, safety rated alloy toe caps, and electro static dissipating technology, these are the perfect athletic men's shoes for anyone who spends a lot of time on their feet. The alloy toe caps are lighter in weight than traditional steel toes, yet still achieve the same ASTM F2413 approved safety ratings. The static dissipating dual resistors give these men’s DMX Flex shoes their ESD approval, keeping you safer on the job. There's no exposed metal on the uppers of these ESD shoes for your safety. Under your feet you have all of the cushioned comfort you need for full support on the job. The MemoryTech Massage removable cushioned footbeds expand and contract as you move to adapt to the shape of your feet and provide a massage that lasts all day. The injected EVA foam and DMX moving air midsoles transfer air under your feet as you walk for cushion that's customized to your stride and supportive exactly where you need it to be with each step. Achilles padding at the back of the heel ensures a great fit for a locked-in heel. Flexible and lightweight, these are precisely the safety toe slip-resistant shoes you need to keep moving at work without pain. Reducing the weight of your men's footwear can improve your stamina and decrease your lower body pain immensely. If you suffer from ankle, knee, hip or lower back pain, take a good look at the footwear you wear to work - because lightening your load can really help! These lightweight Reebok DMX Flex Men’s Alloy Toe ESD RB3604 Grey Blue Athletic Oxford Shoes from Working Person's Store are just the right choice to keep you safe and compliant with workplace safety guidelines while still maintaining a comfortable fit. I work in an office that runs an Equipment shop. I needed a shoe that was comfortable but also was a safety toe and slip resistant sole. I have had these shoes for a few months now and they are great. They have above and beyond but my needs and the price point is very good. I'm not sure how they would hold up to actual work, as I am in an office environment with the occasional messing around with a piece on the shop. Reebok Shoes: RB3604 Grey Men's Alloy Toe ESD Blue DMX Flex Athletic Oxfords is being added to your cart.